Massachusetts public libraries logged 4,527,810 reference questions in 2017. How many of the interactions were successful? And how do we judge “successful,” anyway? This class explores the foundation for providing professional, ethical, competent, and confident Reference Services. Whether a seasoned professional, or new to Reference Services, an in-depth examination of service fundamentals enriches any practitioner’s ability to get the right information to the patron. Topics covered will include professional standards, qualities of the reference interview, search strategies, choosing reference sources, and marketing reference services. 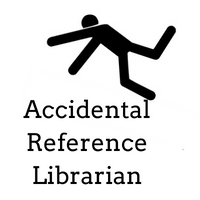 Based on feedback from previous offerings of Accidental Reference Librarian, this class now features review of reference sources and active exercises. This class no longer includes exploration of basic customer service principles. Please consider ““How Can I Help You?” Customer Service Basics and Beyond” for customer service training. This class speaks to MLS strategic goals and themes addressing future readiness, core services, and a strong Massachusetts Library Community. 1. At the end of the workshop, learners will be able to employ professional standards while conducting reference transactions. 2. At the end of the workshop, learners will be able to evaluate potential reference sources. 3. Given a reference question, the learner will be able to construct a reference interview strategy.